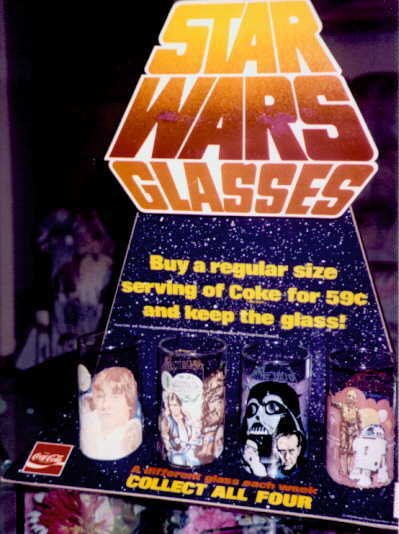 This counter-top unit, used by Burger King to promote its line of Star Wars drinking glasses, is one of the rarest of all Burger King displays. It's seen less frequently than both its ESB and ROTJ counterparts. It's got some really sharp graphics, too.